The OMNI tonnage awards are made every year at the annual conference, this year held in Palm Beach, Florida. The awards are split into two distinct groups: the Regional Gold Sales Awards, presented to the leading shipper in each of six geographical regions; and the improvers awards presented to companies in three categories that have increased their tonnage through the network compared with the previous year. The winners of the Improvers Awards traditionally change every year as it is very difficult for any company to increase its tonnage through the network sufficiently to win its category two years running. However, Stuttaford Van Lines in South Africa, were an exception in 2018 having taken awards in three consecutive years. 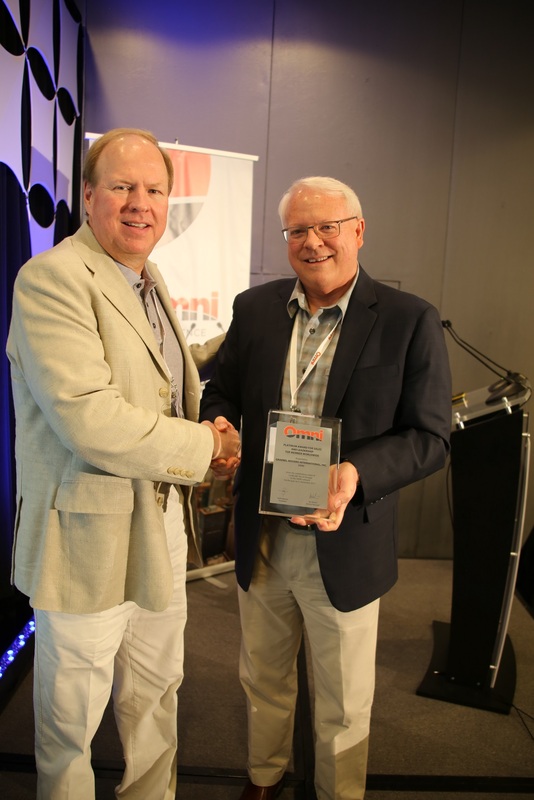 In accepting the Platinum Award on behalf of Graebel, Dale Collins reiterated the importance of the Dow Jones Risk and Compliance tool that is now compulsory for every OMNI member to access. He said that it was essential for Graebel to ensure that its partners around the world were doing everything possible to operate ethically. The demand was coming from Graebel’s corporate clients and he believes the Dow Jones tool to be the best available on the market. “In choosing and selecting our partners in the future it’s going to be more important that compliance is demonstrated and evidenced and I think the Dow Jones tool is absolutely essential to make that a reality,” he said.